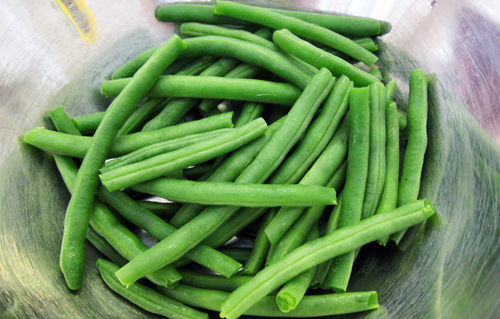 Crisp, bright, slender and wholesome, our Organic Green Beans make a flavorful addition to any meal. Perfect as a stand-alone side dish or a featured ingredient in your favorite casseroles and salads! Keep frozen. Bring water to a boil in a 3-quart saucepan. Use approximately 3 tablespoons of water per 3/4 cup serving. Boiled covered over medium-high heat for approximately 3-4 minutes or until heated throughout. Season to taste.